At Merchant Loan Advance we have been heavily involved with funding many restaurants across the UK over the last few years. A large proportion of those restaurants were Indian restaurants. Loans for this type of business have been amongst the most common funding for our business. 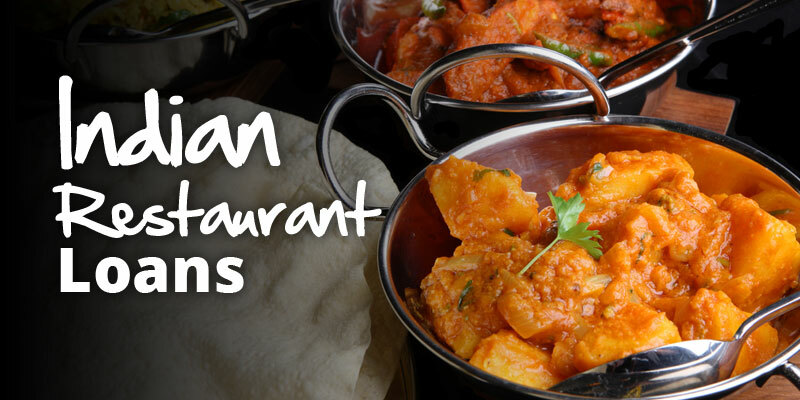 As the UK’s number one favourite food our beloved Indian meal is at the top of the list. We have helped many Indian restaurant’s raise the finance they need. Maybe it is needed for expansion, kitchen equipment, marketing or just simply cashflow our merchant cash advance loan can be used for any purpose. As Indian restaurant’s widely use PDQ machines to take payment from customers it enables them to apply for a business cash advance. Let’s take for example a restaurant takes £10,000 per month on card sales. It is reasonable that the restaurant can borrow £10,000 to £15,000 or more completely unsecured. This means the restaurant owners don’t have to offer security against the loan like a traditional business loan that you could receive from your high street bank. They could ask you for your business premises or family home to be secured against the loan. A business cash advance doesn’t require security. Nor does it require a fixed amount to be repaid each month as this type of lending works with your cashflow. If you have a quiet month in the restaurant then you only pay back the agreed percentage of those sales. If you have a busy month with bigger sales in your indian restaurant then you will of course pay the loan back quicker. And remember that your cash sales are not taken into account at all. Whatever you take on cash sales remain separate. We have helped many, many Indian restaurants over the last few years. Apply today and see if your business could benefit from a cash advance. We see funds deposited within 2 days on average. The application is free and no obligation at all, it takes about a minute to complete.